Maybe its a good thing to discuss this, if we get a better understanding of the current market. not enough sailors and or not enough marinas . Too many boats, not enough buyers! That's it. It's made worse by the fact that fibreglass boats seem to have no end of life and there are some superb old fibreglass yachts out there. Steber found this out a few years ago when the sales of new boats dried up because the old ones would not die. They tried buying up the old ones so they could build new ones but that did not work either. I wander past 30 year old game boats on the slips regularly that are just immaculate. Talking to the owners and they have no intention of "Updating". Yachts are no different. Rule changes in ocean racing make some boats nearly worthless after a few years but there is nothing wrong with the boats. People keep dying and there is not the usual flow of sailing enthusiast to take their place. This is why we see two Swanson Darts sell on Gumtree for $100 this week! The answer is to ban fibreglass boats! Could it possibly be a reflection of the economy at large ? There also is the cost of maintenance in Australia which for an ocean going cruiser will exceed the purchase price within the refit cycle... and the risk of buying a boat that looks good, but still may need a complete refit anyway. Good boats still seem to be selling. A combination of factors I think causing an oversupply low demand market. 1. Many people are time poor due to the increasingly complex and time consuming things one has to do for survival these days. 2. The ever escalating costs and complexity of just storing a yacht when not in use. We all seem to agree that for most that is 90% of the time. 3. The collusion between insurance companies and marinas that dictate you can't have one without the other. 4. Bureaocratic tightening of pollution laws and attached liabilities associated with boat ownership. 6. The harshness of the marine environment on anything man made that translates to "If you own a boat you will never be out of a job." Kids don't know or want to know how to tie a knot. A tangle yes but not a knot. Sailing is too hard to learn. Pretty much what I see is sailors come from sailing families. The generation of these possible sailers are time poor. You could also put in there that its not fast enough. Everything is fast paced these days. Instant gratification reins supreme. Shopping 24/7, god forbid you hold someone up in traffic, phones and electronic devices are a vice. Ever watch peoples amazement when you dont pick up your ringing phone and turn it off mid ring? Look at the statistics of online gamers, huge, into the millions. Sailing is like the snail pace of watercraft. You have to enjoy and have the persona of someone who doesnt mind smelling the roses. Slammin, you have hit it, too hard to learn. Why bother learning the craft when you can back up into the water, turn the key, point, and get there in a fraction of the time in a power boat. I really think our society needs downtime and thats the problem, that society norms dictate that we must be as full on as possible, not a minute to spare. Does anyone here have kids? Ours took many, many hours learning their computer games. Hell, some people have basically died through computer game addiction. Competitive gamers move into houses with their team mates so they can practice together. Serious gaming - and there are many serious gamers - is not easy. Nor is it always fast - one of the top games in the DOTA 2 world series took about twice as long as an America's Cup race. Sure, there are many lessons we can learn from gaming, but disrespecting our potential audience is not one of them. Part of the problem with sailing is that it has been busily ignoring some factors of modern life, and failing to learn from what is working in society. The sport has largely cut its own throat with various forms of elitism, so it's no wonder fewer people are trying to buy boats. In respect to sail boats compared to the rest of the world I believe they are holding up exceptionally well. The reality is we are ,in the main, talking about old (some very) boats which like it or not require a lot of upkeep irrespective of the longevity of fibreglass hulls and that upkeep is quite expensive thesedays especially if you the owner does not have the time to do it oneself and that's not even taking into account things such as sails, new motor ,mooring fees etc. Like it or not the trend as I see it is toward motor cruisers for the baby boomers and affluent and jet skis and tinnies for the rest. Was watching these bad boys at Mawson Lakes SA this morning, gotta be cheaper and you can't drown unless you have to swim out to retrieve them. Chris as you are aware, there are a lot of people gaming life instead of living it. Its a life/lie, depending on point of view, that a lot of people are doing. A million people gaming would take a lot of people away that through sitting at home would have preferred to get out sailing instead of being bored not so long ago. They now have no reason to get out and experience it, or a lot of other lifestyles, as they can do it from the comfort of their home. This of course doesnt include sailors who are practicing simulations. Ive got no problem with it, its their choice not mine. When is a weekend a weekend anymore either. Im sure a few would remember Sat arvo and Sunday and what it used to be. Be interesting how many younger people who might have joined sailing are now working weekends to make a living in a world where houses are 7x not the historical 3x the cost, im pretty sure that is gross income but dont quote me. It's just addictive as the real thing, the sheep stations being played for are nearly as big as the real ones. While I may only own one (proper) sailing boat, when it comes to RC I am a fleet owner with three East Coast 12 Metre yachts, one Marblehead, I think only one IOM boat (could be two though) and I think two or three others. When I was a kid I learnt to sail in a mirror dinghys , model sailing boats and had Americas cup (Australia's cup) game on the comordore 64 I also had the privilege to sail my family 90 year old yacht from the age of 16 exploring the gulfs with mates . Good yachts sell fast for good coin. The crap that you see on gumtree..etc only sell to the inexperienced on limited budgets. No real such thing as a BARGIN when it comes to yachts. Gravity. Physics . Science. What goes up. Must come down. maybe people are also realising that these "superb" old fibreglass boats are of no value unless you do constant maintenance on them. It becomes an expensive and tiresome task. Maybe thats why there are heaps of older boats on the market. You're all over thinking it. Its because I just bought one so the market drops further. I've seen these racing and if you think normal racing yachties are mad these guys take it to another level. With respect, they don't seem to be. The Waszp seems to be attracting youth, which is logical for a cool one design with outstanding performance. On the other hand there were only 11 Aussies at the kite foiling nationals (part of the world tour) so there can't have been many juniors there. The Moth class reports that there is just one junior racing in the whole country. The other major foiling class, the A Class cats, had 10 juniors at the worlds/nationals - not bad but also not huge. The Nacra 17 remains a very small class. So if we look at national and world events we see something like 30 youth and juniors across all of the foiling classes. in contrast, a single conventional boat like the Flying 11 got 142 kids. The 420s, way down in Hobart, got 60 kids; the Lasers about 150. If you look at the Olympic and youth classes we see the same sort of pattern - the less radical craft get more entries in general. Cats and windsurfers are less popular than Lasers and 420s. IMHO a lot of the issue with sailing's falling popularity is that we try to promote types like foilers which are great, but extreme. There's a lot of idiots out there repeating the cliche that "foilers are the future" but they are expensive, scary (most kids don't actually like scary boats), don't work in confined waters or light winds, complicated etc. Foilers are unsuitable for many places and sailors so if they are the future, the future is bleak. Although extreme sports get a lot of hype, the simpler and cheaper ones get bigger numbers. Sailing's promotion of extreme types instead of accessible ones is killing the sport. Sure, but the point I was trying to make is that it's wrong to say that people only play computer games because they are easy and don't take up much time. It's interesting to read computer game design textbooks and manuals. Like poker game designers, they use psychology to get people hooked. They are designed to use things like psychological rewards like 'levelling up'. Sports, on the other hand, seem to ignore these psychological insights and the way that they can hook people. In fact sailing's current fixation on elitism and extreme sailing goes right against just about everything the psychologists, sports scientists, sport social psychology experts and computer game designers have studied and learned. No wonder we're losing numbers! At my club, and the one I was at in Sydney, we have a non-elitist approach. My Sydney club (Dobroyd) is still strong.Our new local club is still small because it's outside a small inland town, but numbers have tripled in about 18 months. One of the classes I sail (Windsurfer LT) is also going right against the extreme/elitist model, and it's now the third-fastest growing in the world by some measures. So when the sport is promoted as an elitist one, it loses numbers. When it has been promoted as an accessible one, it grows. For the past 20 years or so, sailing has promoted itself as being about supermaxis, big yachts, foilers, foiling AC boats, etc. No wonder numbers are falling and there are fewer buyers out there. too true. video games (and social media platforms) are designed around the same principles as casino games. intermittent rewards and a lot of busy-work. i am no luddite by any means, but the addictive nature of games and social media is clearly a problem. it's especially problematic for kids because their brains are still rapidly developing and current technologies are hard-wiring them to be dependent on this kind of stimulation. Such an interesting topic & as an economist its all too easy to fall for the supply and demand 'market' forces argument. 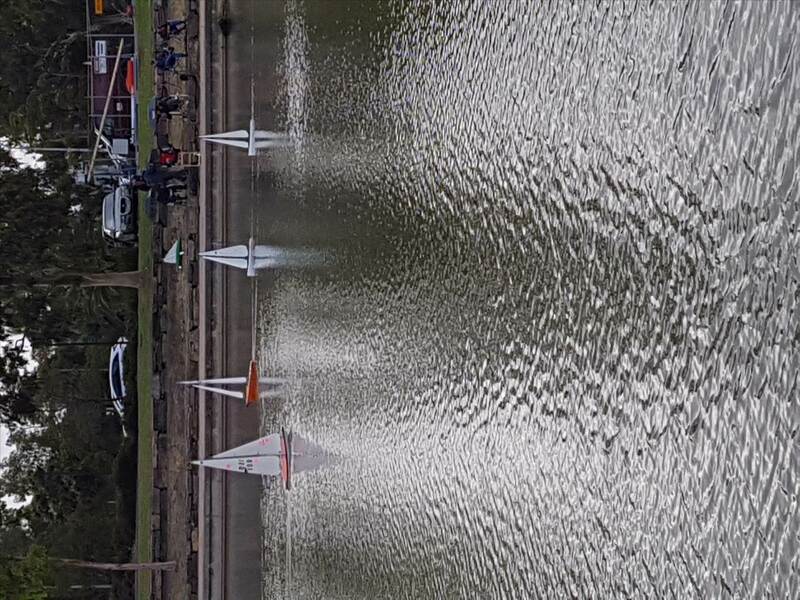 As an interesting sidebar here, our sailing club is currently facing the classic 'crackerjack' dilemma - wonderful newish facilities (really - we are so lucky... and if only you east coasters knew what we have/what it costs us members to use...ha ha ); seriously ageing demography (at 52 I feel the youngest at club by far); declining 'broader' passion in sailing (mostly racing I think?? ); and the inevitable declining income v rising cost thing. Perhaps this is a new topic, but I'd love to hear case studies on how these things have been tackled elsewhere - thoughts? Get in touch with Cronulla sailing club, they appear to be doing very nicely. That pretty well described our club, but there are a couple of things that have moderated it. Yes we run junior learn to sail, but the problem is the retention rate isn't that good - even with followup programs. It is compounded in a country town by the fact most of the kids leave town when they leave school to go to Uni. You can see videos of some of them going for their first and second sails (on any boat, let alone a skiff) - in up to 20 knots. Playing the main and running the kite and all. As the page will show, I ran a yacht program off the back of this when I had one, which was also a hit . As were the "Coastal Basic Navigation" and "Yacht Engineering Familiarisation" day courses I ran too. But skiff sailing on the weekends limited that to mid week sailing and special events (Sail Paradise, the Easter Regatta and Hamilton Island Race Week) and the nearest yacht club was an hour away. All of which meant I couldn't justify the cost of running it. The yacht is now sold. do that successfully rather than step onto some elitist speed machine and come a cropper...everybody laughs but them. Just to lighten things up. 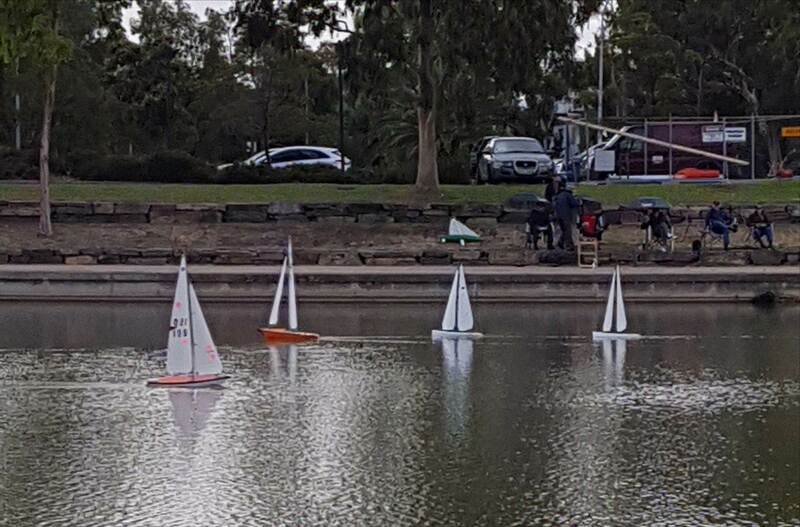 A couple of my friends started the Dubbo Sailing Club a couple of years ago. I took him sailing on the harbour and he was a natural. Recently he had a boat tattoo put on his ankle. It reminds him every day to stay on track. He is planning his big adventure and its not on land. its a breeding problem ..........power boat owners have more time to breed than sailors !!!! they buy the power boat and it sits in the marina alone while the owner is at home producing another stink boat owner !!! sailors spend more time on the boat tinkering with systems ect and sailing ......... we should be at home breeding more sailors !!! !